1 “Who can believe what we have heard? Upon whom has the arm of Hashem– been revealed? 2 For he has grown, by His favor, like a tree crown, Like a tree trunk out of arid ground. He had no form or beauty, that we should look at him: No charm, that we should find him pleasing. 3 He was despised, shunned by men, A man of suffering, familiar with disease. As one who hid his face from us, He was despised, we held him of no account. 5 But he was wounded because of our sins, Crushed because of our iniquities. He bore the chastisement that made us whole, And by his bruises we were healed. 7 He was maltreated, yet he was submissive, He did not open his mouth; Like a sheep being led to slaughter, Like a ewe, dumb before those who shear her, He did not open his mouth. 8 By oppressive judgment he was taken away, Who could describe his abode? For he was cut off from the land of the living Through the sin of my people, who deserved the punishment. 9 And his grave was set among the wicked, And with the rich, in his death— Though he had done no injustice And had spoken no falsehood. 10 But Hashem chose to crush him by disease, That, if he made himself an offering for guilt, He might see offspring and have long life, And that through him Hashem‘s purpose might prosper. 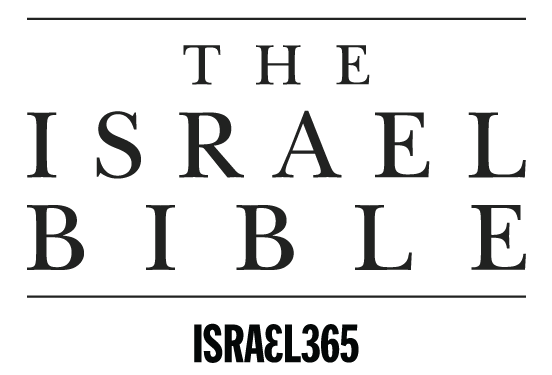 Chapter 53 begins with a description of the suffering that Israel experiences. In this verse, however, Yeshayahu articulates the reward that awaits the nation. Because Israel, despite its suffering, placed the welfare of others above its own, it is promised that one day it too will be counted among the mighty, and that its portion, Eretz Yisrael, will be considered great. Today, the State of Israel is among the world’s leaders in science, technology and medicine, and stands out in the region. In 2015, for example, the U.S. Patent Office reported 3,804 patents from Israel, as compared with 364 from Saudi Arabia, 56 from the United Arab Emirates, and 30 from Egypt. Truly, Yeshayahu’s blessing is being realized and Israel’s “portion” is growing. Isaiah 53 cannot be about the nation of Israel. If “he” is Israel then who are “my people”? “he” is the messiah. He is Jesus! I say this in Love to my Jewish friends! Maybe it’s time to pause and ask HaShem what He’s trying to say to us here. Setting aside religious glasses, we just might need to attempt to see this chapter as HaShem meant it—not how it may or may not conform to our theological background noise. Isaiah 53 is all about the coming Messaih,Jesus Yeshua ( Yehoshua). Believe this Israel and be saved from the coming time of Jacob's Trouble. ISRAEL IS THE "SUFFERING SERVANT" (NOTHING TO DO WITH THE FICTICIOUS, ROMAN INVENTED CHRIST). Isaiah 53, which is the fourth of four renowned Servant Songs, is umbilically connected to its preceding chapters. The “servant” in each of the three previous Servant Songs is plainly and repeatedly identified as the nation of Israel. For the sake of my servant Jacob, and Israel my chosen, I called you by your name, I name you, though you do not know me. 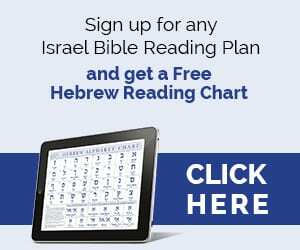 I have heard that the majority of ancient rabbis before the coming of Jesus, all of them, explained this chapter as referring to the coming Messiah. Spread universal knowledge of the God of Israel, which will unite humanity as one. As it says: "God will be King over all the world – on that day, God will be One and His Name will be One" (Zechariah 14:9). Because no one has ever fulfilled the Bible's description of this future King, Jews still await the coming of the Messiah. All past Messianic claimants, including Jesus of Nazareth, Bar Cochba and Shabbtai Tzvi have been rejected. If Yehoshua failed all the requirements of the prophecy’s to fulfill the coming of the Jewish Mashiach, then please answer this question! With respect; may I suggest, that bible prophecy contains both portraits of a suffering Messiah and a victorious Messiah. The suffering servant is pictured as a lamb,wounded, and cut off, but not for Himself. The triumphant Messiah comes to establish His rule of peace and righteousness over the earth. This is where the concept of a line of thought came that they were waiting for two Messiahs. One they called Mashiach Ben David, and He would be the son of King David. The other they called Mashiach Ben Joseph, the son of Joseph. The truth is, it is not two Messiahs, it is one Messiah coming twice-first as the lamb of God, the suffering servant of Isaiah 53, and then as the reigning King Messiah, when Yeshua returns. Yeshua’s first coming fulfilled the prophecies of the suffering servant. With Yeshua’s second coming, we will se the fulfilment of the victorious, reigning Messiah of Isaiah 11:1-9! So may the (Lord of Hosts) the one true living God of Israel and Lord over all the earth, bless you with an abundance from His riches in heaven. Who has ascended heaven and come down? Who has gathered up the wind in the hollow of his hand? Who has wrapped the waters in his garment? Who has established all the extremities of the earth? What is his name or his son’s name, if you know it? Jesus did not fail at anything. Jesus fulfilled the prophecies of the suffering servant. What you are failing to see is His 1st coming and his 2nd coming. See, my servant will act wisely; he will be raised and lifted up and highly exalted. Just as there were many who were appalled at him—his appearance was so disfigured beyond that of any man and his form marred beyond human likeness—so will he sprinkle many nations, and kings will shut their mouths because of him. For what they were not told, they will see, and what they had not heard, they will understand. It’s all about Israel/the People! 53 Who hath believed our report? And to whom is the Zero’a Hashem [Yeshayah 52:10] revealed? 2 For he shall grow up before him as a tender plant, and as a Shoresh (Root, Shoresh Yishai, Moshiach, Yeshayah 11:10, Sanhedrin93b) out of a dry ground; he hath no form nor comeliness; and when we shall see him, there is no beauty that we should desire [Chaggai 2:7] him.